Free access to grounds during daylight hours; please leave the ruins when darkness falls or in stormy weather! 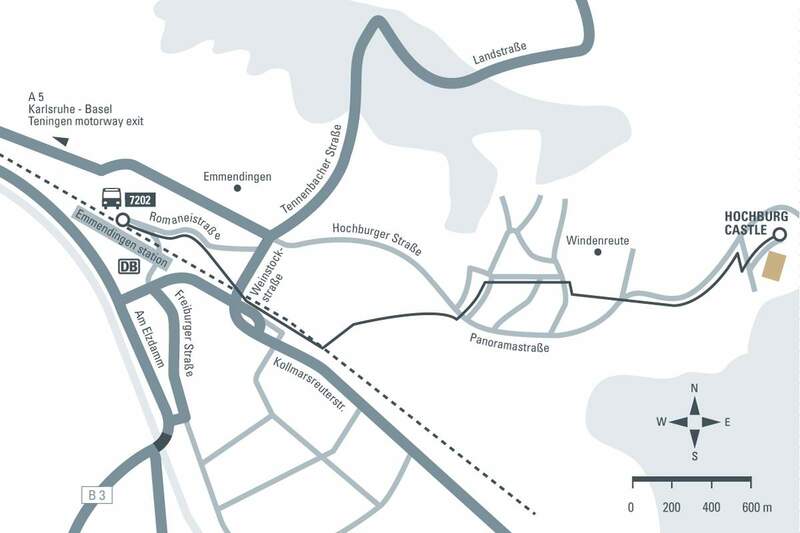 Take the A5 from Karlsruhe to Basel, exit at Teningen and continue to Emmendingen. In Emmendingen, follow the signs marked "Hochburg". The ruin is located on a hilltop and can be seen clearly after leaving the small town of Windenreute.